Jealous!!!!!!! Do you have a 7-11??? We don't have one near us, but for those of you that do, this is a FREEBIE that you don't want to miss! 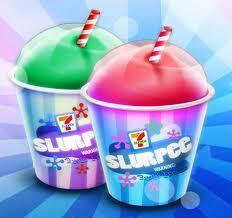 All that you have to do to grab your FREE 7-11 Slurpee is stop by your local 7-11 store on July 11th and SCORE! Please note that this FREEBIE will be available from 11am-7pm.